Advent Calendar Door 6: Timer Jobs in SharePoint Online. Timer Jobs in SharePoint Server? Each developer knows how to deal with that. But in SharePoint Online? There is nothing out of the box. But, with skybow Solution Studio it is easily achievable, both for Power User and Developers, and this is the cookie behind our today's skybow Advent Calendar door. 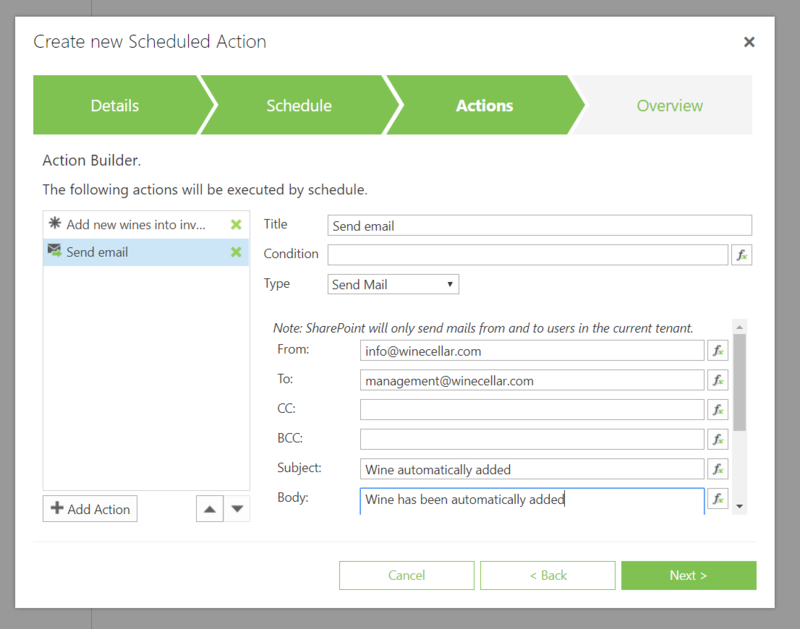 With skybow Solution Studio Online, it is very easy to create repeatable, scheduled actions, and the journey starts with clicking on the “Scheduled Actions” tab in “Things in background” of any SharePoint list (either from dossier, or from “Other lists and libraries”), and clicking on the “Add Scheduled Action” button. 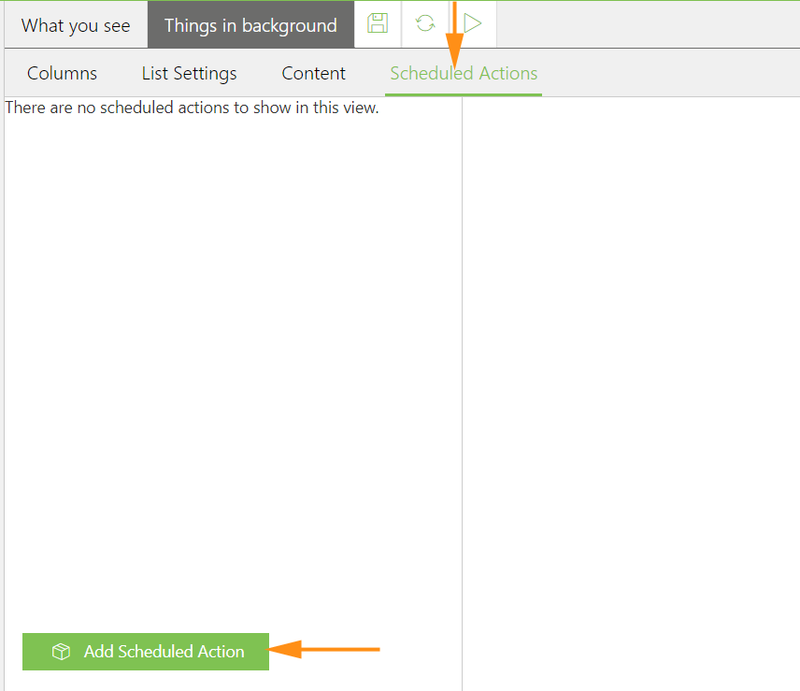 Next you need to enter some basic information about the scheduled action, such as its title and description, but, if you want, you can also set a filter which would limit the action only to particular items on the list. 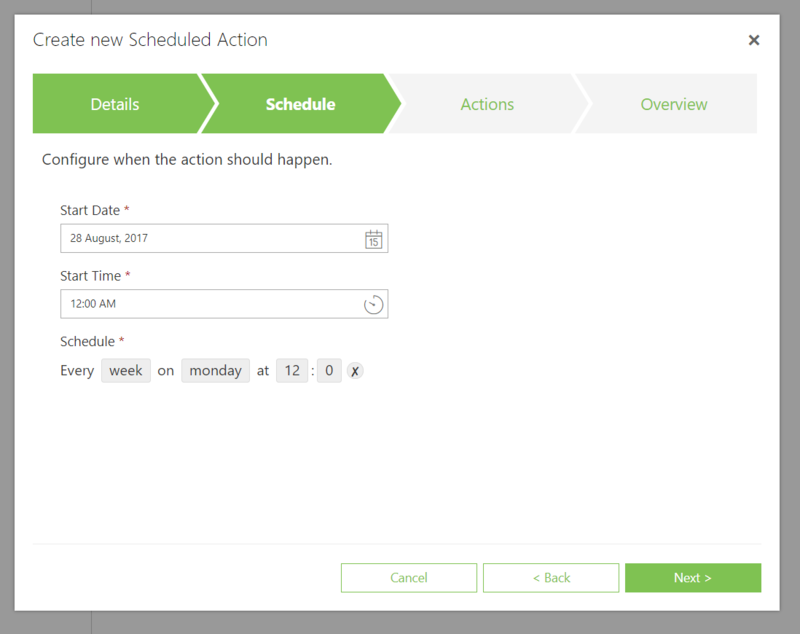 After pressing “Next”, you need to define the action schedule – when do you want the action to start? You can choose between hourly, daily, weekly and monthly actions. The last step is to define the actions which will be executed at a given time. 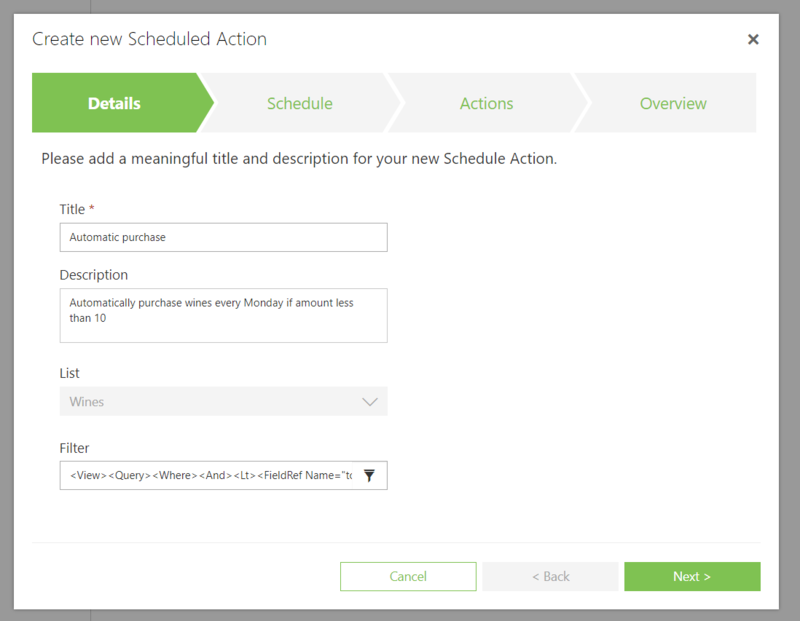 At the moment, we support basic list item actions such as adding, deleting and editing list items, and sending emails, but in the near future, more actions which you already know from the skybow Action Links will find their way into Scheduled Actions.